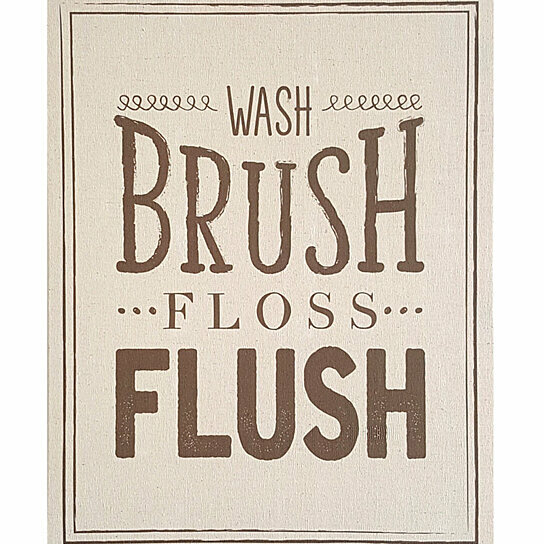 Accessorize a bathroom wall with the Stratton Home Decor Wash Brush Floss Flush Wall Art. This fun canvas is sure to complete your bathroom decor. Care instructions: Wipe clean with damp cloth. Material: 30% Wood, 70% Linen. Color: Multi.